In an Australian-first, Mainmark completed a technically and physically challenging derelict mine shaft rehabilitation project using a combination of bespoke cementitious grout and innovative placement techniques. The redundant gold mine, located in West Wyalong in regional New South Wales, was in use from the 1890s to 1920. The site is now in the carpark of a motel, located just metres from the Newell Highway. The 300m-deep mine shaft, lined with timber to shore up the sides and form chambers, had an unknown number of lateral shafts at various depths. 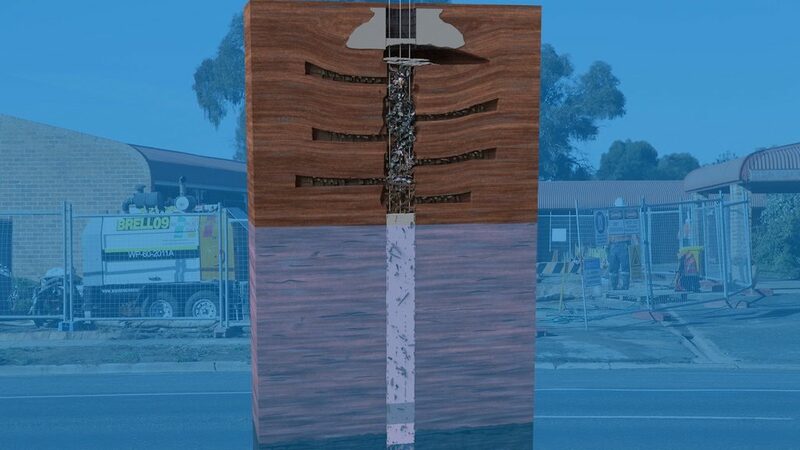 Over time, deterioration of the timber shoring and water ingress resulted in the top portion of the shaft collapsing, which in turn led to voiding and surface settlement. 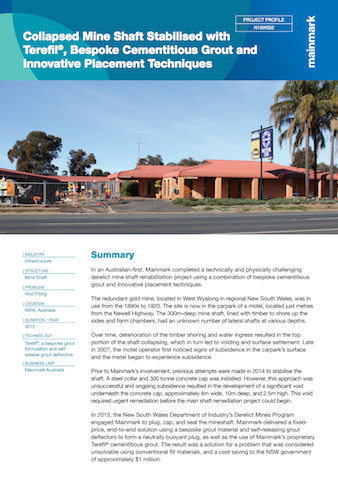 Late in 2007, the motel operator first noticed signs of subsidence in the carpark’s surface and the motel began to experience subsidence. Prior to Mainmark’s involvement, previous attempts were made in 2014 to stabilise the shaft. 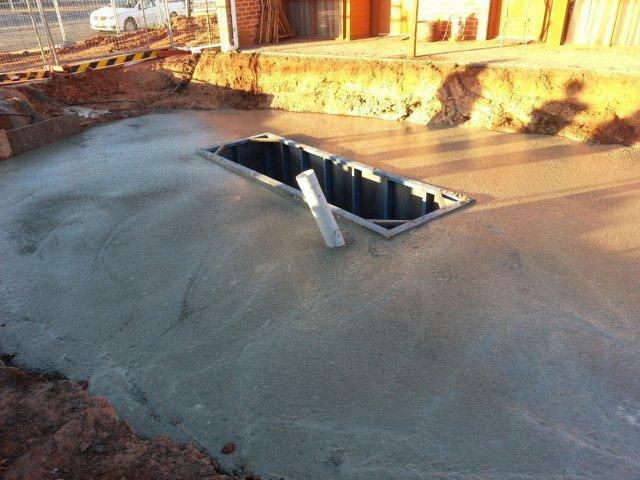 A steel collar and 300 tonne concrete cap was installed. However, this approach was unsuccessful and ongoing subsidence resulted in the development of a significant void underneath the concrete cap, approximately 8m wide, 10m deep, and 2.5m high. This void required urgent remediation before the main shaft remediation project could begin. 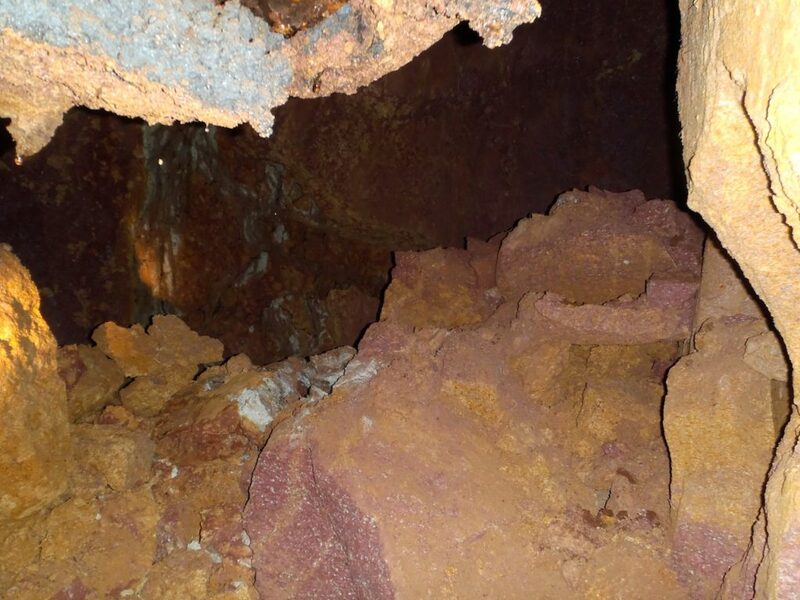 In 2015, the New South Wales Department of Industry’s Derelict Mines Program engaged Mainmark to plug, cap, and seal the mineshaft. Mainmark delivered a fixedprice, end-to-end solution using a bespoke grout material and self-releasing grout deflectors to form a neutrally buoyant plug, as well as the use of Mainmark’s proprietary Terefil® cementitious grout. 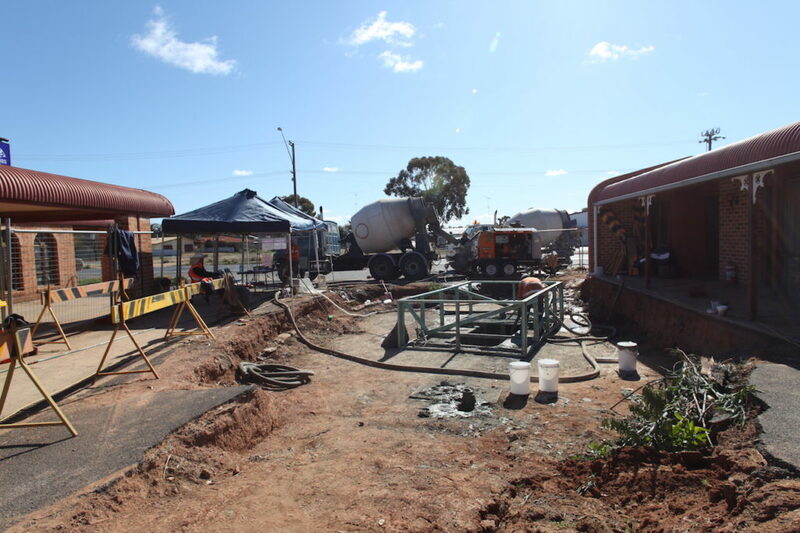 The result was a solution for a problem that was considered unsolvable using conventional fill materials, and a cost saving to the NSW government of approximately $1 million. The main objective was to remediate the collapsed mine shaft. The solution needed to be cost-effective and structurally adequate, with a cap which was lightweight to prevent further subsidence. Simply filing the whole shaft from the bottom up was not an option, as it was over 300m deep and would double the cost of the project. The solution needed to be able to plug the shaft at 30m underwater at 3 bar pressure. Mainmark leveraged relationships with local and global experts to develop a bespoke solution that would deliver a reliable, safe outcome without incurring unreasonable costs. Mainmark used cameras to confirm whether the conditions under the concrete cap were unchanged, and the cap remained supported. These cameras identified a significant void under the cap, which needed to be filled to re-support the cap and allow further works to continue. To fill the void, Mainmark deployed 500m3 of its lightweight Terefil® cementitious grout in an accelerated mobilisation of just 5 days from approval. Mainmark used a sonic drill rig to install three 76mm ID steel casings to a depth of 60m to form access for a temporary or sacrificial plug. Following extensive research and collaboration with scientific experts, Mainmark developed a bespoke, neutrally buoyant grout. Together with independent materials scientist, Peter Hodgson, a cementitious solution was developed at a density exactly equal to the density of water so that it wouldn’t wash out, sink or rise when pumped through a water column, and could bridge large areas without additional support. Once the neutrally buoyant grout formulation was finalised, Mainmark deployed 90 self-expanding deflectors down the casings to create a failsafe temporary form for the plug. The team then pumped the unique, cementitious, neutrally buoyant, noncompressive grout down in layers to form the basis and support for the structural plug. Mainmark then installed a structural concrete plug and filled the shaft with a mix of FB200, a modified, variable mobility, water-tolerant grout, and Terefil®. As a highly flowable, easily placed and lightweight material, Terefil® was ideal for this application. The formulation does not require pre-loading or compaction for settlement mitigation. It will flow into spaces to fill voids and exhibits shrinkage of less than 0.1%. Compared to typical foam fills, the patented technology used in Terefil® has increased stability, a greater lift thickness and can be pumped greater distances. Extensive compressibility testing has validated the ability of Terefil® to resist collapse from pressure. Mainmark drilled 27 boreholes to a depth of 20m each to enable secondary grouting to target unknown surface voids. During drilling work it had become apparent that there were significant sub-surface voids surrounding the shaft, which needed to be filled for the area to be deemed stable and safe. Communication between the boreholes was confirmed when compressed air was expelled from adjacent holes during drilling. It was decided that the highly mobile cementitious grout to be used for secondary grouting was unsuitable due to the presence of large sub-surface voids. Mainmark therefore recommended a resin grouting program. Six tonnes of expansive resin were used to successfully fill the voids. The final stage was to use road base as a backfill above the top of the shaft, and restore it back to level with the rest of the carpark. The team then applied asphaltic concrete, leaving a smooth, seamless, and well-supported carpark surface.